A nourishing-vitamin skin treatment characterised by a delicate jasmine and rose fragrance. A nourishing-vitamin skin treatment characterised by a delicate jasmine and rose fragrance. This oil is rich in low protection active principles, indicated for suntanned skin. Besides enhancing and maintaining skin colour, it nourishes and softens. Contains Walnut Husk and Carrot extracts. The antioxidant Vitamin E effectively contrasts free radicals. May be used on face and body. 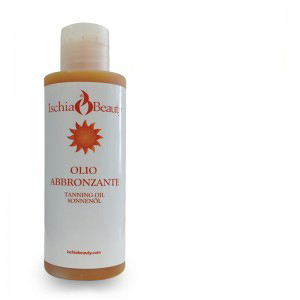 Suntan oil, immediately absorbed by the skin, leaves no greasy traces. Instructions for use: apply this product to face and body before exposure to the sun or solarium. Apply it again after swimming.